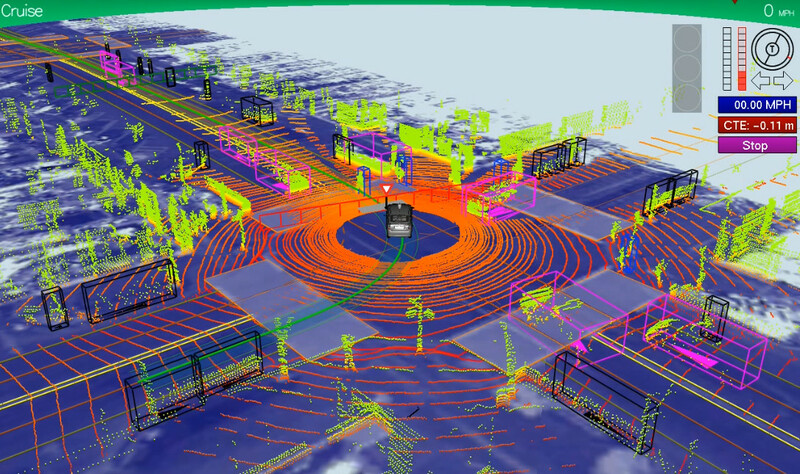 “Google’s self-driving car gathers 750 megabytes of sensor data per SECOND! That is just mind-boggling to me. Here is a picture of what the car ‘sees’ while it is driving and about to make a left turn.